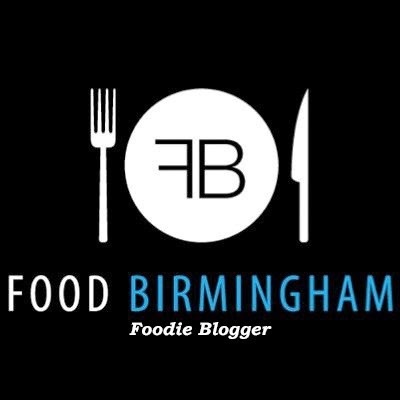 Positive Fridays- A Birmingham food blog: Happy New Year! 3. Due to these, I went out. A lot. But now I'm back! For my first post back, I thought I may as well show you some of the outfits I've worn during the past couple of months. Just have to do a bit of facebook pillaging! 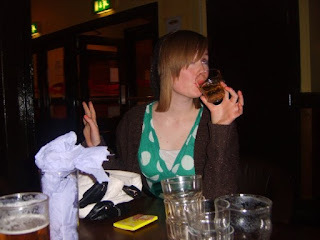 Firstly, we have my friend's 22nd. 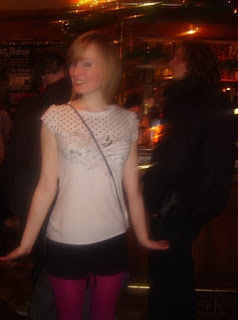 Chilled out at the Australian-theme pub Walkabout and it was a lot of fun. Coldplay at the o2 arena. 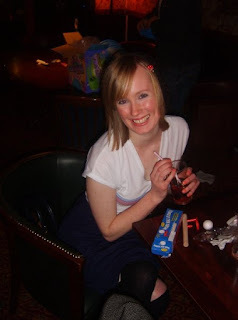 I remember going there when it was the Millenium Dome!My skirt rode up a bit in this picture unfortunately. 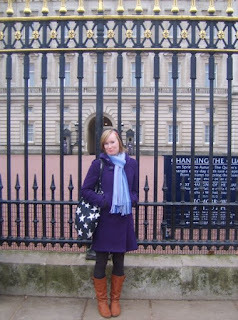 The next day we did the touristy bits including Buckingham Palace! And finally, a roller disco at the Carling Academy in Birmingham which was very exciting and I didn't fall over once! The picture was taken in this great pub the Actress and Bishop. Again, I must apologise for vanishing for so long. Blog reading and commenting will also be back as well as regular posts. Oh sad to hear about your boyfriend. I hope you feel okay now and feel stronger. Your title is amazing <3 I love your tights!! Lovely outfits, I hope 2009 is good to you! I really liked al of your outfits! I'm sorry to hear you've been going through a tough time! I hope things are starting to go better for you! 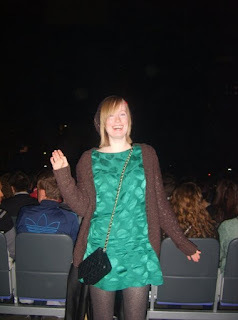 As for your outfits, the green top shop dress is gorgeous, and I also love the entire last outfit. Sounds like a tough time but you are a good sport about it!